Exciting News! 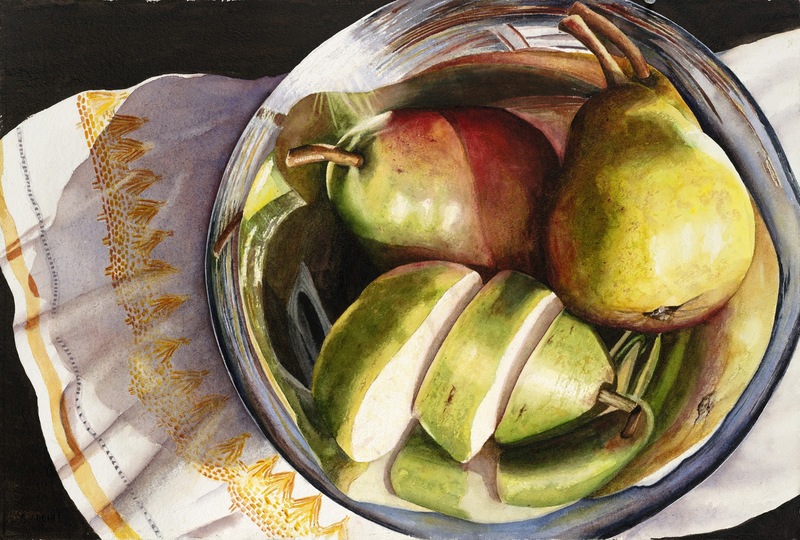 I am honored that 'Pear Go Round' has been accepted into the Women Painters of the Southeast's First Annual Juried Members Exhibition to be held at Corse Gallery in Jacksonville, FL, April 28 – May 26, 2012. 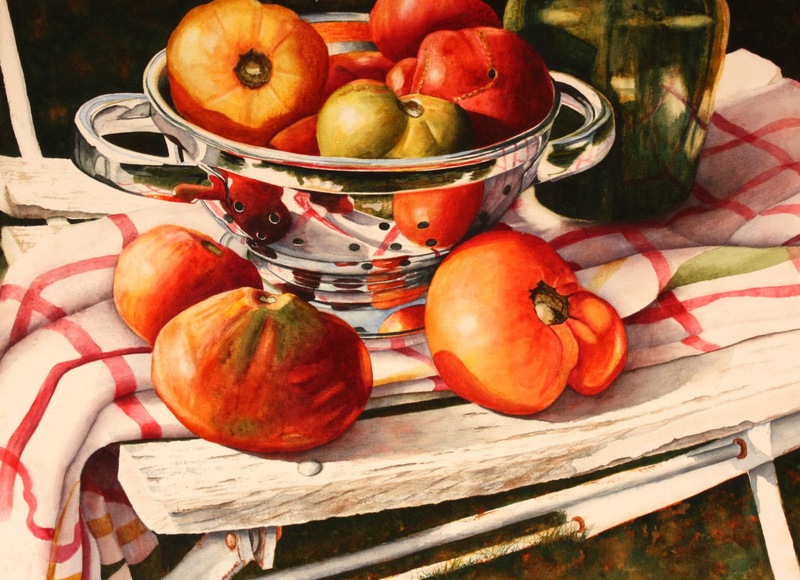 My most recent painting to be completed, 'Serenbe Heirloom Tomatoes'. Let me know what you think. I am jumping on the 'blog' wagon and hope all of you will follow me. I'm an artist, not a writer so I hope I can find something interesting to say. I thought about throwing something in about my life on a farm but decided it had nothing to do with my art. But on second thought, it is a big part of who I am. I have lived on a farm almost my entire life. But now it is a gentleman's farm so to speak. We have a few cows and horses, but I don't do any of the work. Except, early one morning last week I looked out my bedroom window to see a cow peering in at me. Surprise! My husband was gone so it was up to me to get them back in the pasture which I did with no trouble at all. Glad I still remember how to do it! My studio, a mobile office, has lots of windows and my view on all sides is nothing but trees and pasture. It is my sanctuary in the woods, the perfect place for me to paint with no disturbances. Unless something interesting happens outside my window, my blog will be mostly about art. It may be a picture of the piece I'm working on or something interesting that I read. I will use it to keep everyone posted on my latest exhibitions. I look forward to hearing from you!